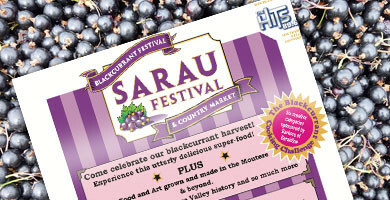 The countdown is well underway as we begin to ramp up the promotion for this years Sarau Festival. The posters have gone to print, and you are sure to have seen the placards around the region. A big thank you to our promotion angels who host our signs and posters in their shop windows and frontages. We really couldn’t do it without you.